Are negative reviews hurting your business? Wondering what you can do to fix or improve your online reputation? 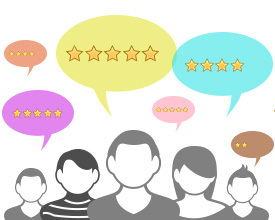 Today’s consumers pay attention to online reviews. Most consumers will read at least 5-10 online reviews about a company before they decide who they’ll do business with. In fact, research tells us that people trust online reviews as much as they trust recommendations from trusted friends and family. It can take months and years to win a new customer — and just seconds to lose them, if they are unhappy with the quality of your products or your service. Unflattering news, reviews, pictures, and even outright lies can be posted instantaneously and spread throughout the online world very quickly. Reputation Marketing Services can help you and your organization overcome the damage caused by negative online reviews, and improve your overall reputation to win more customers. You can’t control what other people are saying about you online, but you can implement your own reviews management system to encourage your best customers to review you promptly and favorably online. And, you can also control the quality and quantity of information you publish about your own business online as well . When it comes to marketing your business online, content is king. We can help you develop the content you need to create a favorable impression of your company online, and we can help you obtain and publish more authentic and genuine positive reviews that will influence more people to do business with you. “We understand how important an online reputation is and how it can make or break your business.”If your Online Reputation needs improvement or repair, schedule a call now.